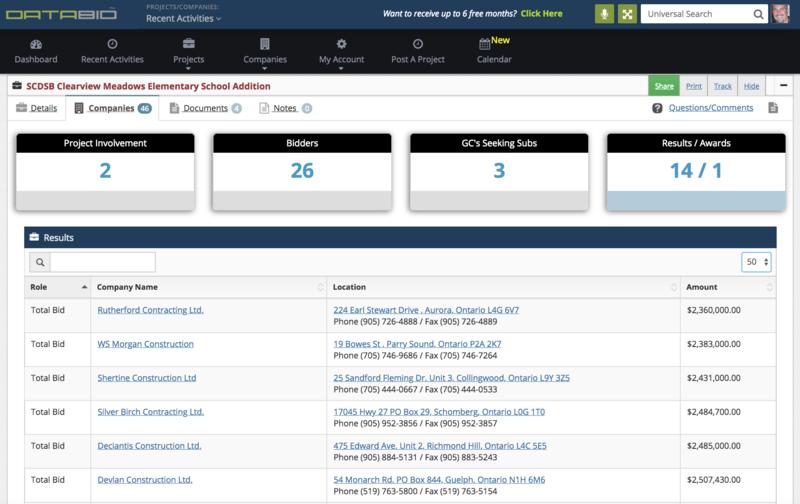 With DataBid's Construction Leads You'll Never Miss a Project Opportunity Again. Get set up in seconds, and start bidding on local projects calling for your trades or services. As the underlying database that powers each DataBid product, the Project Information is the heart and soul of your DataBid account. 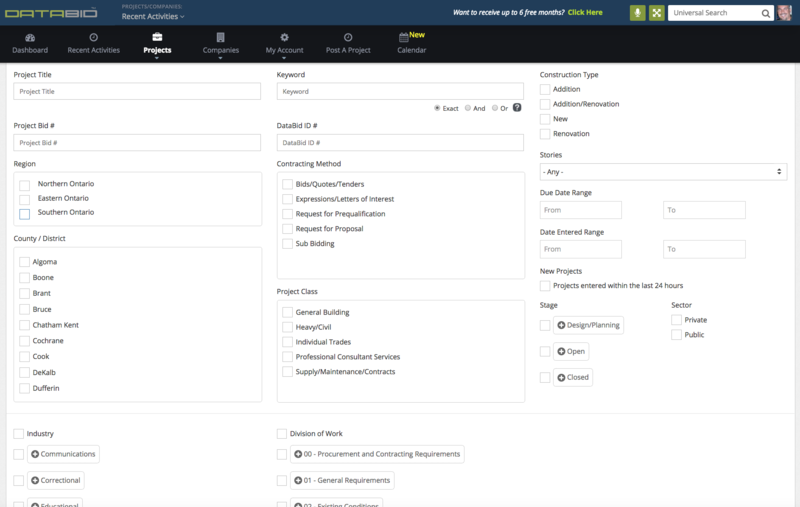 It goes far beyond simple contact information, giving you incredible insight into every project so you can win more work and grow your company at scale. It all starts here. 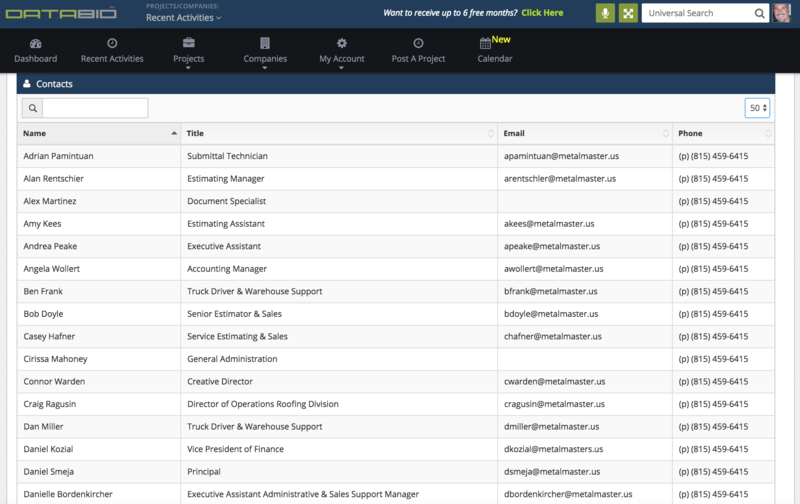 DataBid’s Company Directory has everything you need to find the right companies at the right time. Access to complete bidders list, meeting attendees and timely bid results means greater chances of winning. It’s all the information you need — all in one place. DataBid gives you a full suite of tools to boost your productivity, save you time, and make your bidding process more human-friendly — without adding to your workload. Your whole team will find more opportunities and grow your network, with a whole lot less work. Project information that makes it easy to identify and win projects. You'll save time digging for information and grow your business faster. DataBid’s Company Directory has everything you need to find the right companies at the right time. Access to complete bidders list, meeting attendees and timely bid results means greater chances of winning. It’s all the information you need — all in one place..
DataBid gives you a full suite of tools to boost your productivity, save you time, and make your bidding process more human-friendly — without adding to your workload. Your whole team will find more opportunities and grow your network, with a whole lot less work..